Whenever new technology launches consumers are never told every little thing that their new device does. Sure a lot of stuff can be found when you first boot up and you are sent through those first-time tutorials but let’s be honest, we all skip those anyway. Well if you’re the owner of a brand new Surface Book or Surface Pro 4 then I’m sure there are a few things about your tablet or laptop that you didn’t know. The following are a few of the more well-hidden features that are on your Surface Book or Surface Pro 4 that you may not know about or you may not find without my help. Both of these devices have 1,024 levels of pressure sensitivity that you can customize to your exact style. In order to do this, however, you will need a free app from the Microsoft store. 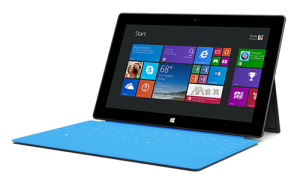 Download and install the Surface app from the app store. Once you’ve done this, click the pen icon, which will allow you to turn up the sensitivity, turn it down, and test it out. The newer Surface pen is a little different than the older models. In order to get it open to change out the batteries, you need to grab the shaft and then turn the end of it with the pocket clip counter-clockwise an eighth of an inch until you hear a click. This will allow you to swap out your old AAAA batteries for new ones when they die. The only button that is clearly visible on the Surface pen is the eraser button though there is another button that you may not have noticed. At the very end of the plastic strip that is located above where your finger rests there is a hidden button that acts as a right mouse click when using the Surface pen, which is pretty darn cool. Some Microsoft stores will tell you that the Surface Pro 4 won’t work with the older Surface Pro 3 dock though Microsoft itself has stated that this isn’t the case. Microsoft is planning to make a spacer that will allow thinner Surface Pro 4 devices to work with the older dock with full functionality. The only problem is that the spacer is delayed though you can pre-order it now. If you want to tinker with your device’s UEFI to adjust the boot order or turn off the cameras then you can do so by shutting down the system. Once you’ve shut down press the increase volume button and hold it while pressing and then releasing the power button. Keep holding down the volume button and it will boot directly to the UEFI. If you are in the UEFI you can disable Secure Boot, which tells your Surface Book or Surface Pro 4 if it needs to check for a certificate from the operating system before booting. You can set this to “Microsoft Only”, “Microsoft & 3rd Party CA”, or “None”. Switching to “None” allows you to load any Linux OS of your choosing. If you want to you can disconnect your Surface Book and just carry around the clipboard part of it. There won’t be any USB ports though you can charge the clipboard by plugging the Surface Connector into the bottom of the clipboard. It is actually possible to swap the Clipboard section of a Surface Book that came without a GPU onto a base that came with one. This means that you can take your cheaper Core i5 model without a GPU and swap it with one of the Core i7 models, though whoever you swap with is definitely getting the raw end of that deal. Apparently there are two different Surface power bricks that use the Surface Connector to charge. The Surface Pro 3, Surface Pro 4, and Surface Book without the GPU all use the same 30-watt brick for charging. The Surface Book with the GPU uses a 60-watt charger. The Surface Book with discrete GPU doesn’t come with Nvidia’s GeForce Experience though it does work just as well. Download the free GeForce Experience from Nvidia and it will be able to optimize games to run at their best based on Nvidia’s testing and recommendations. 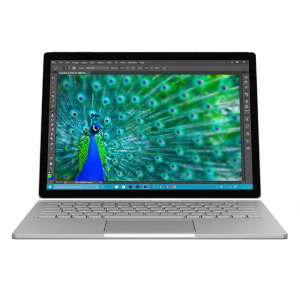 With the Surface Book with discrete graphics, it automatically selects if it wants to run applications and games on the GPU or the integrated graphics. However, if you want to override that system and run a certain application on the GPU then all you have to do is go into the Surface Book’s control panel, select Hardware and Sound, click Nvidia Control Panel, click Manage 3D Settings > Program Settings and you should see a drop-down list of programs. Select the app you want and set it from auto to either “High-Performance Nvidia Processor” or “Integrated Graphics”. Well, there you have it! That’s not a too shabby list of nifty little tricks that you may or may not have known about! Some of these are more just general observations and not things you can actually control though they are interesting things to know about your brand new Surface Book or Surface Pro 4!